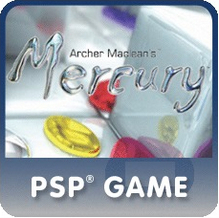 The Mercury titles published by Ignition Games (Archer Maclean’s Mercury [PSP, Vita], Mercury Meltdown [PSP, Vita], and Mercury Hg [PS3]) were delisted from the PlayStation Store in Europe no later than October 9th, 2018. This is the date we received a submission pointing out the absence of Mercury Hg and began investigating. As of this writing no explanation has been given by Ignition for the territory-specific delisting. The games remain available to download in North America and on physical media in the territories in which they were released. Swarm, also published by Ignition Games, has been delisted worldwide while other titles from the publisher remain available. Wi-Fi Compatible (Ad Hoc/ Infrastructure). Internet connection may be required for certain Wi-Fi functionality. Player responsible for Wi-Fi fees.